Dr. Yang is an Assistant Professor at School of Computing, Informatics, and Decision Systems Engineering (CIDSE), Arizona State University. His primary interests lie in Cognitive Robotics, Computer Vision, and Robot Vision, especially exploring visual primitives in human action understanding from visual input, grounding them by natural language as well as high-level reasoning over the primitives for intelligent robots. His research mainly focused on solutions to visual learning, which significantly reduces the time to program intelligent agents. Prof. Ahn is Director of Laboratory of Security Engineering for Future Computing (SEFCOM). His research has been supported by NSF, NSA, DoD, ARO, ONR, DoE, Bank of America, Apriva, GoDaddy, Hewlett Packard, Microsoft and Robert Wood Johnson Foundation. He serves in a leading role in the ACTRA (Arizona Cyber Threat Response Alliance) which is independent but closely affiliated with the FBI’s Arizona InfraGard Program. He is a Certified Information Systems Security Professional (CISSP). Prof. Baral’s main research interests are threefold: (i) developing language constructs and surrounding building block results for representing knowledge and reasoning with it, (ii) developing a theory of actions and their impact on an environment and using it in autonomous agent design, planning and diagnosis, (iii) Using (i) and (ii) in modeling cell behavior and reasoning with it to explain observations and develop plans of action so as to alter pathways that could suggest therapeutic procedures. Prof. Bjarnadottirs's research focuses on operations research methods building on large scale data. Her work spans applications ranging from analyzing nation-wide cross-ownership patterns and systemic risk in finance to prediction modeling, drug surveillance and practice patterns in health care. Dr. Bjarnadóttir has consulted and worked for a number of health care start-ups, the parliamentary appointed Special Investigation Commission into the Banking Crash in Iceland as well as the Central Bank of Iceland where she focused on capital control fraud detection in the post-crash era. Prof. Candan’s primary research interests are in the area of efficient and scalable management and analysis of heterogeneous (such as sensed and streaming media, web and social media, scientific, and enterprise) data and data clouds. He is a founding member of ASU’s Information Assurance Center and a senior sustainability scientist at ASU’s Global Institute of Sustainability (GIOS), one of whose missions is to connect researchers with businesses and industry. He has served as a Visiting Scientist at NEC for ~10 years and had collaborations with IBM, HP, JCI, Early Warning, Telecom Italia, and RAI Labs among others. He has 10 patents. He is a member of the Executive Committee of the ACM Special Interest Group on Management of Data (SIGMOD). Prof. Davulcu's research is in data mining and information assurance. Prior to joining ASU, US DOD's Defense Logistics Agency (DLA) funded his work in industry. The intelligent agent product that he developed, while at a software startup, was the recipient of a Long Island Software Achievement Award. He is currently the PI for an NSF Partnership for Innovation grant in which he collaborates with Candan and Early Warning services LLC, to develop a platform to enable integration and enrichment of limited private financial data with larger publicly available data sets to detect fraud and reduce losses due to fraudulent transactions. His recent research in socio-cultural modeling and analysis is funded by a US Department of Defense (DOD) Minerva Award. Prof. Deshpande is an Associate Professor at the Department of Computer Science, University of Maryland. His research has spanned a spectrum of big data topics including scalable data science, graph data management, data uncertainty, cloud computing, database query optimization, adaptive query processing, data streams, and wireless sensor networks. His current research efforts are focused on building a collaborative data science platform, developing a graph data management system, and investigating a variety of issues in uncertain data management. Prof. Doupé is an Assistant Professor of Computer Science and Engineering at ASU and the co-Director of the Laboratory of Security Engineering for Future Computing (SEFCOM). His research focuses on all aspects of keeping Internet users safe, by securing all levels of the computing stack, including web applications, mobile devices, and enterprise networks. Dr. Anandasivam Gopal is an Associate Professor and Van Munching Faculty Fellow at the Robert H. Smith School of Business, University of Maryland. Anand Gopal's research focuses on the use of large datasets and text analysis in addressing economic questions of interest in the IT industry, retail sector, and entrepreneurship. He combines data analytics with econometrics and statistics to address questions like firm survival, competition, venture capital investments, and firm performance. He collaborates with firms in the retail, e-commerce, software, and services outsourcing sectors. He has a Ph.D in information systems and economics from Carnegie Mellon University. Prof. He's research interests include rare category analysis and heterogeneous machine learning with applications in social media analysis, healthcare, semiconductor manufacturing, traffic prediction. She is the recipient of the 2014 IBM Faculty Award and has published more than 40 referred articles. She is the author of the book on Analysis of Rare categories (Springer-Verlag, 2011) and has served on the organizing/senior program committees of many top-tier conferences, including ICML, KDD, IJCAI, ICDM, and SDM. Prof. Huang's research interests are in Cloud Computing, Computer and Network Security, Mobile ad Hoc Networks, and Network Virtualization. Dr. Huang's research is supported by federal agencies NSF, ONR, NRL, ARO, and NATO, and organizations such as Consortium of Embedded System (CES), Hewlett-Packard, and China Mobile. He is a recipient of ONR Young Investigator Award and HP Innovation Research Program (IRP) Award. He is a co-founder of Athena Network Solutions (Athenets) providing a virtualized hands-on project running environment. He is currently leading the Secure Networking and Computing (SNAC) research group at ASU. Prof. Kambhampati's research interests are in AI, automated planning, information integration, and data cleaning. His recent industrial collaborations include IBM and Google. He is a fellow and "president-elect" of the Association for the Advancement of Artificial Intelligence (AAAI). Joseph A. Langsam is a Policy Fellow in the Center for Financial Policy of the University of Maryland’s Smith School of Business, which he joined in 2010. He spent the previous 25 years at Morgan Stanley Dean Witter, where he was responsible for analytic research and the valuation of derivatives. Dr. Langsam received a Ph.D. in mathematics from the University of Michigan in 1982 and a Ph.D. in urban studies with a concentration in economics from the Massachusetts Institute of Technology. Prior to joining Morgan Stanley Dean Witter, he was an assistant professor of mathematics at Case Western Reserve University. He is co-editor (with Jean-Pierre Fouque) of the landmark 2014 volume, Handbook on Systemic Risk. He was appointed to the Board of Mathematical Sciences and Their Applications in 2014. Dr. Langsam's research interests are focused on the development of analytics for monitoring and managing both financial institutional risk and systemic risk. Prof. Li's research research focuses on image and video processing, computer vision, statistical inference and multimedia content indexing and analysis, with applications to visual computing for people with visual impairment, medical image analysis, and vision based robotics. Prior to joining ASU he was a Senior Researcher with SHARP Laboratories of America. Prof. Liu’s research focuses on social network analysis, machine learning (ensemble methods, active learning, rule extraction, feature selection and discretization, subspace clustering), data mining (data quality and integration, stream data reduction, bioinformatics, algorithm scaling-up) and real world applications (CRM, Egeria detection in imagery, intelligent driving data analysis, recommender systems). He Liu joined ASU after conducting research in Telecom (Telstra) Australia Research labs. Prof. Maciejewski's primary research interests are in developing novel tools and methods for exploring, analyzing and visualizing data across a variety of domains including climate, public health, social media, criminal incident reports and dietary analysis. How work explores the extraction and linking of disparate data sources exploring combinations of structured geographic data to unstructured social media data to enhance situational awareness. Prof. Mankad's research focuses on using data analytics to facilitate better decision-making. Specifically, he aims to create and apply data mining, machine learning, and visualization for financial and economic modeling with unstructured and complex structured data. He was a consultant with the U.S. Commodity Futures Trading Commission and also worked at the Federal Reserve Board on characterizing market activity with visual analytic tools. 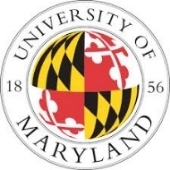 Douglas Oard is a Professor at the University of Maryland, College Park, with joint appointments in the College of Information Studies (Maryland’s iSchool) and the University of Maryland Institute for Advanced Computer Studies (UMIACS). He earned his Ph.D. in Electrical Engineering from the University of Maryland and his research interests center around the use of emerging technologies to support information seeking by end users. Prof. Papotti's research is focused on systems that assist users in complex, necessary tasks and that scale to large datasets with efficient algorithms and distributed platforms. He is the recipient of a Google Faculty Award, has published more than referred 60 articles, and is work has been recognized with a best demo award at SIGMOD 2015. He has served on the organizing/senior program committees of many top-tier conferences, including SIGMOD, VLDB, and ICDE, and is associate editor for the ACM Journal of Data and Information Quality (JDIQ). Prof. Raschid has made pioneering contributions towards meeting data integration, data management, and data mining challenges in multiple domains. She is leading an effort sponsored by the NSF and the CRA Computing Community Consortium (CCC) to develop community financial cyberinfrastructure and to create a data science for finance research. As part of this effort, she collaborates with JPMorgan Chase, State Street, Bank of America, IBM, and Wells Fargo. Prof. Sapino's current research interests are in the areas of heterogeneous (including multimedia) data management, with strong emphasis on tackling the so called "Big Data challenges", including aspects related to the development of efficient techniques for tensor based big data analysis, and on various aspects related to indexing, classification, and querying of a large spectrum of data types. She is currently active in multiple interdisciplinary and industrial projects (including with RAI, Compagnia di San Paolo, and JCI) in building energy data management, epidemic data management, smart cities, and sustainable environments. Prof Sarwat is designing and developing data management systems (e.g., database systems) that enable new emerging applications (e.g., recommender systems, location-based services, social networking, mobile applications), new data types (e.g., spatial data, graph data), and new workload. His research also includes support for non-traditional computing paradigms (e.g., Cloud computing, Cluster computing) and new hardware system architectures (e.g., flash memory storage, non-volatile memory). Prof. Shakarian specializes in data mining, social network analysis, and cyber security. His group, the Cyber-Socio Intelligent Systems Laboratory (CySIS) is focused on the development new of novel techniques to tackle data mining problems relating to socio-cultural systems as well as cyber-physical systems. Specific focus application areas include social media analytics, law enforcement, malware analysis, deep web mining, and infrastructure protection. Prof. Silva’s research focuses on scalable and efficient database systems. The focus of his research is two-fold: advancing database systems to respond to requirements of multiple emerging applications (e.g., exploratory data analysis, decision support, and social networking), and extending fundamental concepts of database systems to new data management platforms (e.g., big data systems). His specific areas of interest include: similarity-aware data analysis (e.g., similarity search and similarity-based clustering), database query processing and optimization, big data analytics, privacy assurance in databases, and scientific database systems. Prof. Tong's research interest is in large scale data mining for graphs and multimedia, with applications to social networks analysis, healthcare, cyber-security and e-commerce. He has published over 80 referred articles and more than 20 patents. He is the associated editor of ACM SIGKDD Explorations and has served as a program committee member in top data mining, databases and artificial intelligence venues. Before joining ASU, he was a research staff menber at IBM T.J Watson Research Center. Prof. Wu's research interests include health informatics, swarm intelligent algorithms for distributed decisions. Her research has been sponsored by NSF, DoD, NIH, DoED. She works closely with industry and has been involved in several industrial projects for Intel, IBM and Mayo Clinic. Her research collaborators in health informatics are from Mayo Clinic, Banner Alzheimer Institute, Duke CIVM Center, University of Nebraska Medical Center. In 2011, she is appointed as an associate professor of Radiology in Mayo Clinic College of Medicine. distributed/cloud, big-data, and high-performance computing systems. He is also interested in the interdisciplinary studies that bridge computer systems research with other domains. His research has generated significant real-world impacts and been used by various production systems. His work on a cloud storage caching is now deployed at a leading European cloud company, CloudVPS, and adopted by many others (e.g., Facebook) to provide scalable cloud storage and benefit both cloud providers and users. He has collaborated with IBM on the performance virtualization of high-performance parallel storage systems. He has also received a VMware faculty award to work on the QoS issues of data-intensive computing systems.